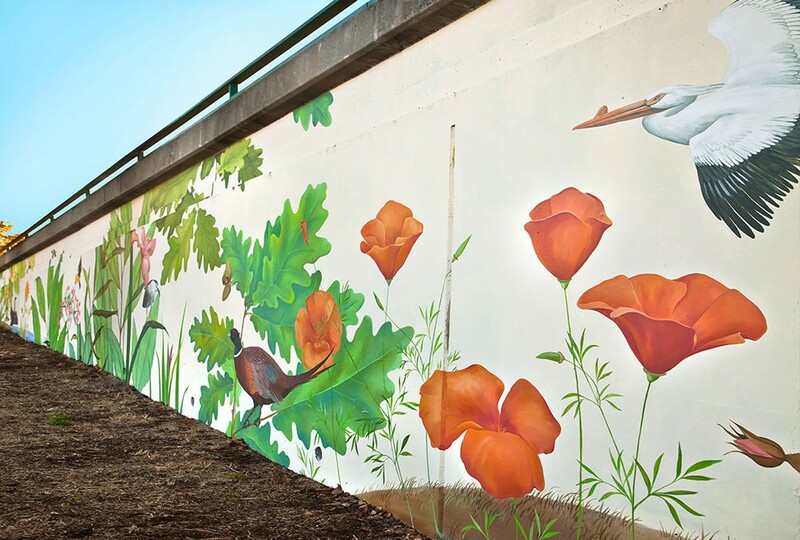 “Native Birds and Plants of Northern California” – the title of my first outdoor mural in America. It was created for the local Bay Area medical marijuana dispensary, “Magnolia Wellness” in Oakland. 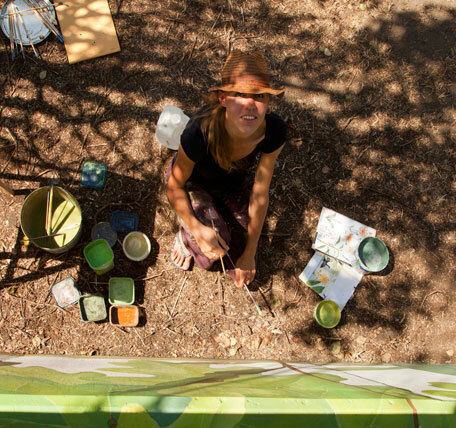 After we moved to the US it was my dream and goal to create murals and outdoor wall art. I was applying for government grants and public art calls, sending my portfolio to architects and interior design companies, but nothing was bringing positive results. And finally, in September 2014, my dream came true! 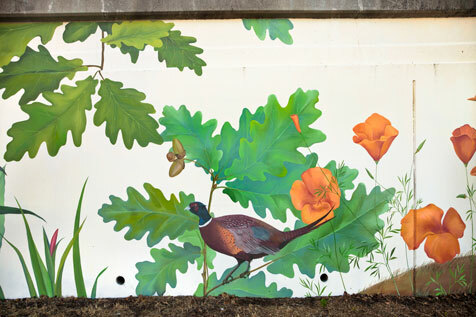 Magnolia Wellness was opening a new shop in Oakland, and they wanted to decorate a wall that is facing their parking lot. A while before I had created an interior wall mural called “Port of Oakland” for them. That wall decor brought so much positive attention from the business’ customers, the owner asked me to create another mural for them. 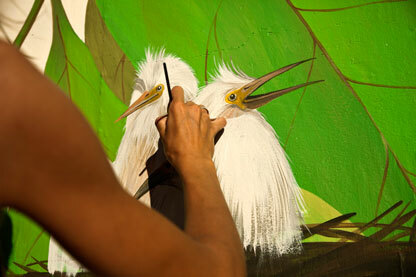 The process of creation of the mural took me one month and a week. 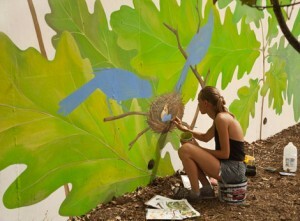 It was one of the best experiences I’ve had in working on an outdoor wall art. 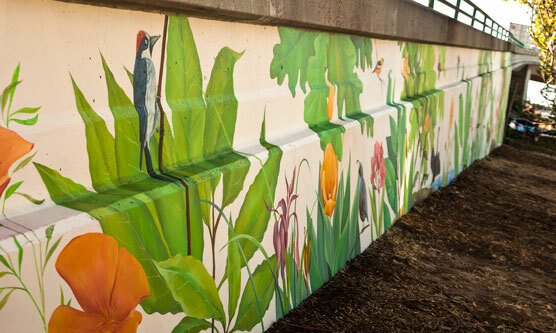 I received so many compliments about the mural, so many people were thanking me for creating the art. 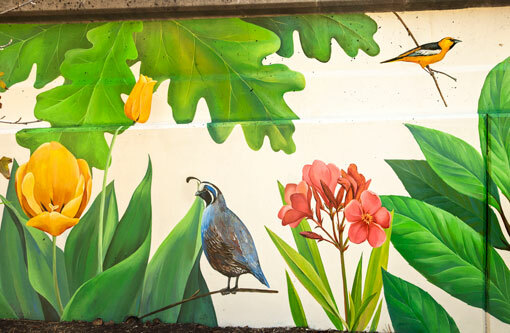 After the mural was finished and covered with protective coating many neighboring businesses started thinking about getting some art decor for their buildings. The impact on their workers and customers was so big – that they started requesting it! 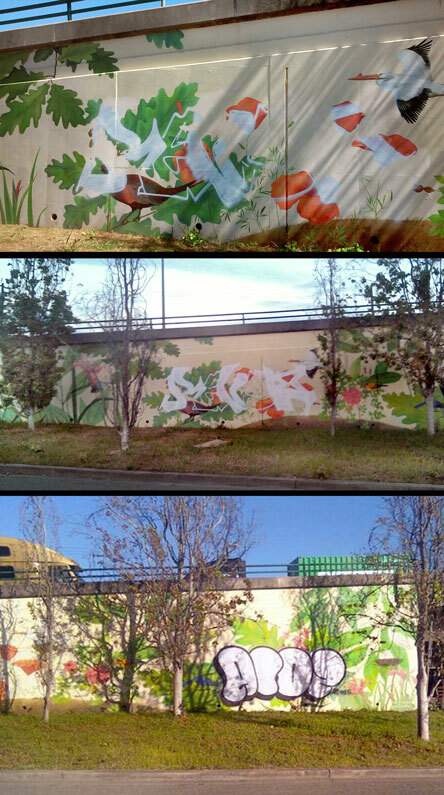 In the spring of 2015 someone painted two big pieces of graffiti. Such vandalism is always very painful, I put a part of my heart in every art piece I make. It is like someone spits in your sole. 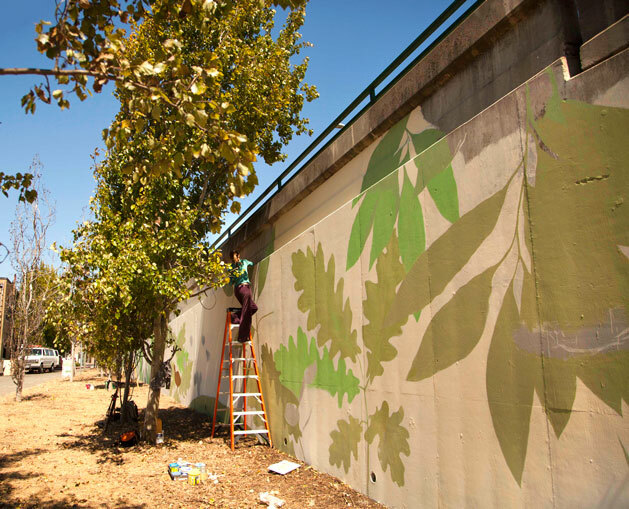 But nothing can be done with it other than, cover the graffiti and fix the mural. And now it’s like new again! 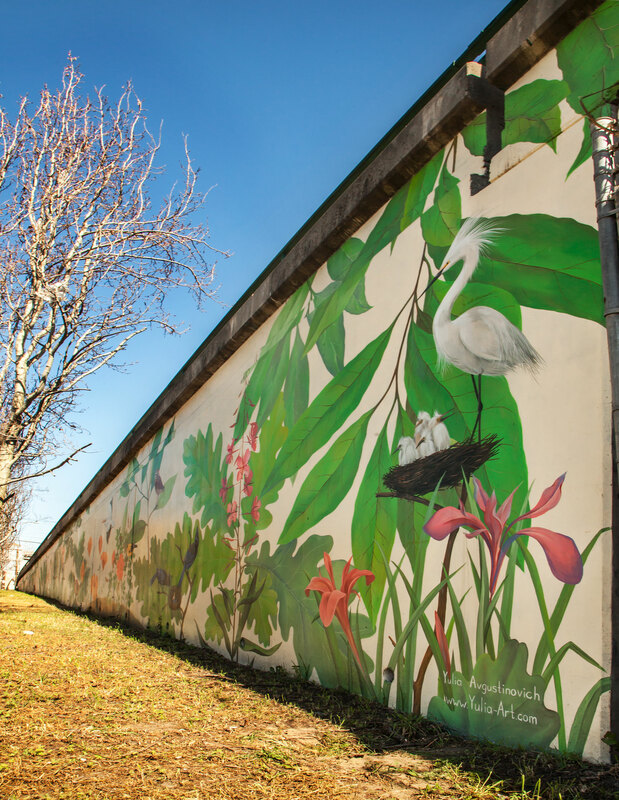 The birds and flowers from the wall bring joy and happiness to everybody who is passing by. get a thrill every single time I see it. It is absolutely gorgeous and my favorite mural I’ve ever seen (and I’ve seen s lot living in San Francisco’s Mission District). Thank you! 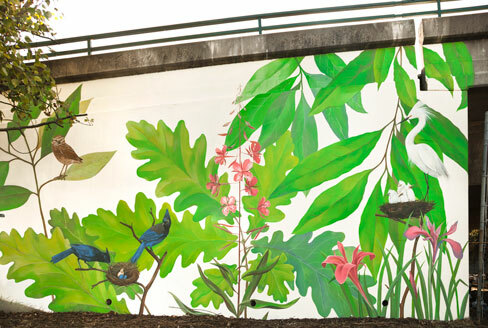 What kind of paint do you use for your outdoor murals? ?